However, this approach, which is rational, scientific and experiential may not always work either because the problem is too complex to understand or because you are unable to decide upon a solution due to uncertainty, fear, or anxiety. Sometimes it is difficult to foresee the consequences of choosing a particular solution because you may not have all the information. Sometimes when you have problems, you cannot easily control your mind and emotions and think clearly. Fear is certainly a limiting problem. The mental blocks and filters people hold in their minds also interfere with their ability to make sound judgments. When complex problems defy any solutions, what should you do? What is the best option? When your rational mind fails to deliver a solution, you should probably consult your higher mind and tap into its enormous potential. Here are some useful suggestions and techniques to do it. 1. Connect to the Cosmic Consciousness: Sit comfortably in a quiet place, think about the problem, without letting fear or other emotions disturb you, and ask the universe to help you or guide you. Mentally write down the problem on a piece of paper, put it inside a bubble and let it fly away into space. See it in your mind gently rising and floating away into the limitless space with the problem glowing inside and fading away. Wait for a solution to manifest. 2. Connect to your higher intelligence: Before you go to bed, visualize that your mind is a huge lake of fresh water. Mentally write down your problem on a piece of paper and wrap it around a marble stone with the engraving "peace" written in bold letters. Throw the stone with the paper into the lake and gently ask your higher mind for guidance. Watch the ripples created by the stone spreading far and wide in the glistening waters. Wait for a solution to emerge either in a dream or through intuition or by some other means. 3. Connect to your heart center: Sit comfortably in a chair or on a mat. Relax your mind and body with deep breaths. Imagine a ball of golden light glistening in the middle of your chest where you usually feel the emotions. It is your heart center. Let the light absorb all the worry, dark energy and negativity created by the problem. Offer the problem to the golden fire in the heart and seek its help. Express your gratitude and wait for your heart to show the solution. Your heart is where your inner deity presides. It is also the center from where all the pranic channels to the various parts in your body travel. The heart is the final departure place in the body, where all the pranas (sense organs) unite with the soul and leave it at the time of death. You heart knows solutions to all your problems. You need to let it speak to you by paying attention and controlling your mental noise. 4. Connect to your personal deity: Your personal deity is the one whom you love most and frequently worship. 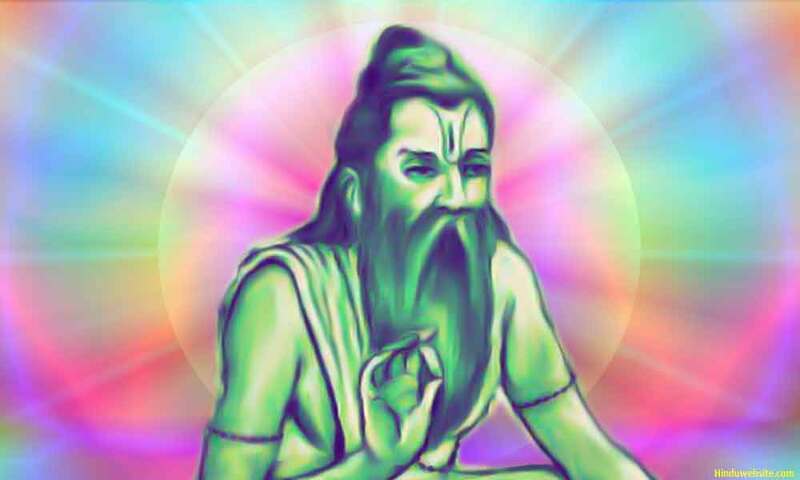 It may be any of the several gods, gurus that you worship or the highest God Himself. For this purpose, I usually choose the Divine Mother or Shiva. However, since I worship many deities, at times I also choose others according to my heart's wish. You may choose any deity you like, but you must perform this with utmost love, sincerity and surrender, with a calm and focused mind. Sit in a comfortable place and chant Aum three or four times loudly or silently, taking deep breaths. Then visualize your personal deity in all his or her glory and glitter as if he in his heavenly abode and you are in his presence. After offering an opening prayer and mental salutations, perform a complete mental worship (manasa puja) before the deity with all the ritual offerings such as water, flowers, incense, fruits, food, light, etc., that you usually make when you perform any worship at your home or in a temple. In the end, present your problem to the deity as clearly as you can and seek his help and guidance. Before you leave his presence and open your eyes express your gratitude and fill your mind with positive feelings as if your prayers are heard and your problem is solved. In most cases, these four approaches should resolve the problem. The solution may come to you in the form a dream, a sign, a suggestion from someone, a chance meeting, coincidence, or intuition. Sometimes the problem may also resolve itself without any effort on your part. If it does not happen as expected, know that it may be because of your past karmas. Some karmic problems do not go away easily until the karmas that caused them are exhausted fully. Such problems may persist for a long time. When it happens, you have to learn to cultivate tolerance, while continuing your spiritual effort. Sometimes you can mitigate such problems partially by spiritual practices, clearing bad energies, and performing some good karma, such as charity, service and devotional worship. Problems may also arise to teach us valuable lessons. When problems arise, try to see what you can learn from it and what lessons are hidden in it. Sometimes problems go away if you learn the lessons and make necessary changes to your life or behavior.